With about 139,000 coworkers in more than 40 countries of the world, "IKEA" is a massive group with over 293 hundred million euros (about 4 trillion yen) in yearly sales. Its history can be traced back to the small village of Agunnaryd in Sweden. And there are many stories started from there to defy the conventional wisdom of the interior design industry. On the opposite side of the unique culture that has been passed down unbroken since 1943, there is a solid reason behind the secret of its growth into the world's largest furniture and general goods store, attracting so many people. Ingvar Kamprad, founder of IKEA, is from the small village of Agunnaryd located in the province of Småland in southern Sweden. Kamprad spent his youth here, and while helping his grandfather’s daily sundries business with selling matches, he first awoke to the joy of "selling things to make money". Through the formative experience of learning that one can "make profit by selling even small-value items like matches if one sells enough of them", he mastered the idea of small profits and quick returns and learned the importance of correctly grasping the needs of customers based on communication with the customers who visited the stores. Later taking this formative experience and expanding upon it, at the young age of 17 he decided to open his own business. In 1943 he established the sundries store that would form the roots of IKEA. At the time he was working on mail order of products imported from France such as fountain pens and wristwatches, gradually increasing his product lineup. Five years later in 1948, based partly on the fact that there were many furniture manufacturers in Älmhult, the town where he established his business, he started the sale of furniture. In 1953 he opened a showroom type store and rather than simply selling furniture he displayed the furniture as a part of a daily living space, moving forward with his sales plan to propose lifestyles themselves. After 1958 when he started expanding his major stores in earnest, he realized the complex stores with restaurants based on the idea that "people can’t shop if they are hungry". 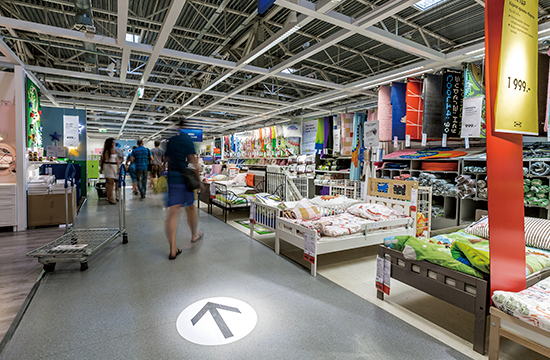 The flexibility of IKEA that evolves to meet the times and customers' needs garnered an established reputation and quickly won the hearts of the public. 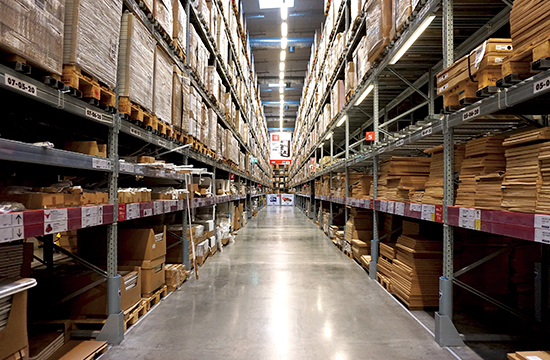 In IKEA that reigns as the world's largest furniture and sundries chain, the flow to determine product prices is established on a non-cost-basis, and they conduct sufficient research at the product planning stage and determine the price in advance. They consider how to imbue their products with the maximum functionality and design based upon this price (budget), adopting ways to increase product quality. Planning to open 14 branches in Japan by 2020, IKEA continues to adhere to the will of Kamprad, blowing the wind from the small village in Småland in southern Sweden around the world.